Forget the Lost City of Atlantis. 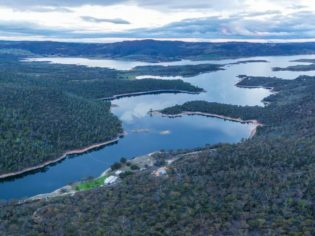 Head to Lake Jindabyne in NSW if you want to be among the lucky few to see relics rising from the deep. 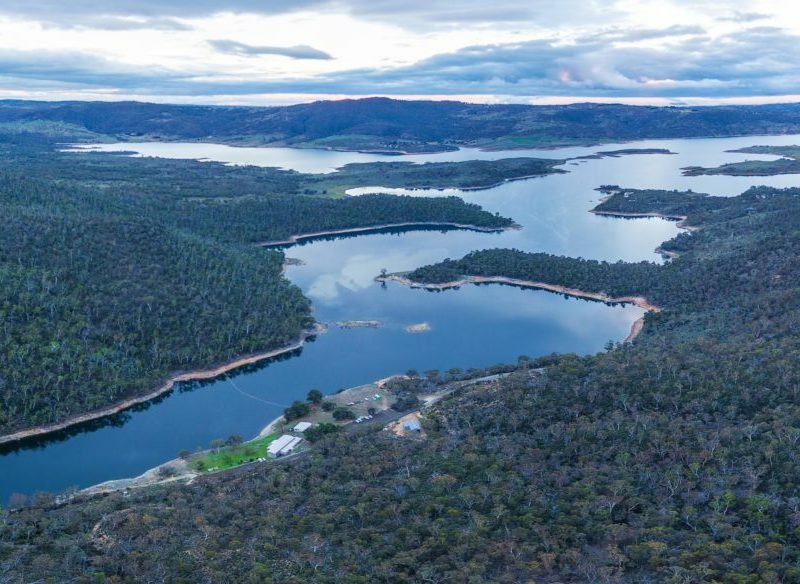 A combination of factors, including the drought, a poor winter snow season and recent construction work on the new dam wall, has lowered the water level in NSW’s Lake Jindabyne to 47 percent. And, like the Loch Ness Monster, ruins of old structures are now surfacing from the dim, dark depths. Old Jindabyne was flooded in the mid 1960s when the Snowy Mountains Hydro-Electric Authority dammed the Snowy River. Many of the town’s buildings were relocated but some were just left and others destroyed, their ruins covered for the next 40 years by the rising waters. At Waste Point on Lake Jindabyne, the foundations of Australia’s most famous fishing lodge “The Creel” can be seen, as can the remains of SunnyBrae cottage, including the water tank and yard. However, the prime site for amateur archaeologists is the now high and dry Church Island, where the foundations of the 1929 St Columbkille Roman Catholic Church are visible. The church was named for Irish-born Saint Columba (meaning “dove of the church”), who is credited with bringing a revival of Christianity after the fall of the Roman Empire. It seems like the old Saint is hard at work again. It’s sunset as our boat nudges the pebbly beach of Church Island (also known as Church Rocks). With seagulls, not doves, for company we walk up the steps of the old church and think of the countless people who have been matched, hatched and dispatched before us. Not much is left: a set of front steps, some crumbling foundation stones. Broken plates and glasses tell of meals shared and enjoyed. A rusty bed knob is unearthed; old nails and pieces of wire take on the importance of rare Egyptian relics – Indiana Jones couldn’t have been more excited. A reclining cardinal marker, with 15m of slack chain, hints at just how low the lake is.